Roller conveyors utilize round rotating parts called rollers to transport material through the conveying system. 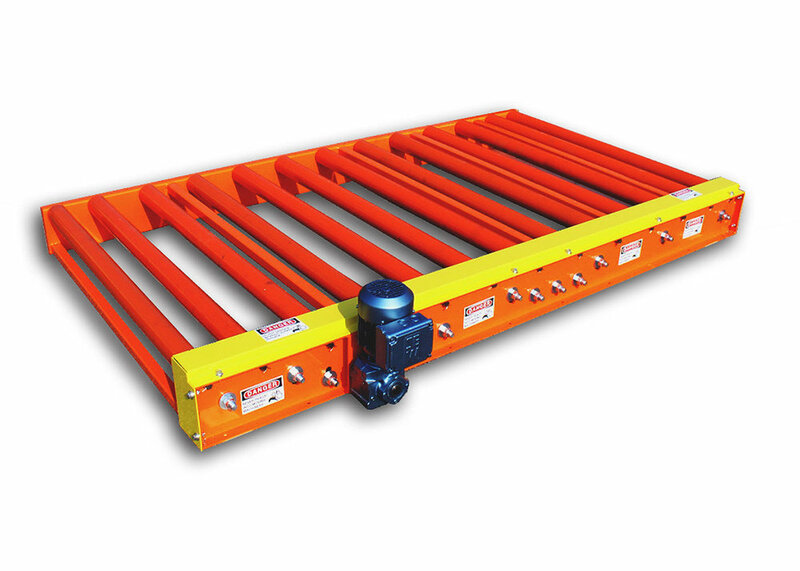 In order to properly move products or materials, roller conveyors require a flat-bottom and possession of an area sufficient to span several adjacent rollers. There are three main types of roller conveyors used in manufacturing and distribution applications three main divisions: gravity roller conveyors, lineshaft roller conveyors and pallet roller conveyors. Common used in accumulating materials and in converging conveyor systems, in which separate conveyor lines join to form a single conveying line, additional applications for roller conveyor systems include distribution, warehousing, material handling, shipping, sortation, washing and drying. Due to the wide range of possible applications, roller conveyors are often used in a correspondingly vast amount of industries including commercial, industrial manufacturing, aerospace, construction, pharmaceutical and metal finishing. 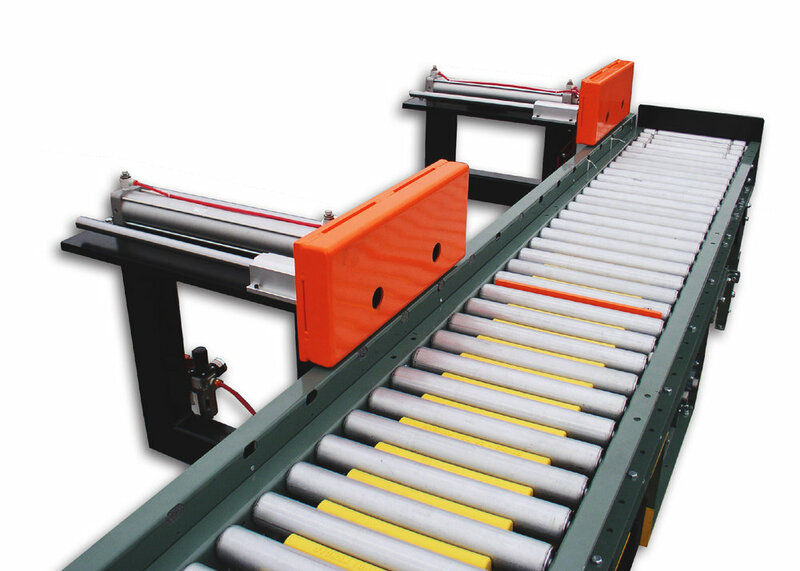 Roller conveyors convey products horizontally along a pathway containing a series of rollers that are placed perpendicular to the direction of travel for movement. These rollers are contained in a fixed frame that elevates the pathway from several inches to several feet and are spring-loaded with hex angles or round angles. Roller conveyors can be powered or non-powered: powered roller conveyors are powered by chains or belts and non-powered roller conveyors can be manually powered and straight or are driven by gravitational forces, necessitating the pathway to have a downward slope large enough to overcome rolling fiction. Powered roller conveyors use small belts and plastic spools in order to provide traction to the rollers, but also allow products to accumulate on the conveyor if there is a queue. Heavy duty roller conveyors are typically powered by friction belts or chains underneath that are attached to a shaft that runs the length of the conveyor frame. The shaft is connected to an electric motor and powers the rotation of the rollers. Skate wheel conveyors are very similar to roller conveyors, but instead of a roller pathway there is a pathway of skate wheels that is used to facilitate movement. Skate wheel conveyors are typically lighter-weight and as a result are generally used for lighter load weight applications. Roller Conveyors A roller conveyor is a type of material handling equipment that moves products, packages, foods and equipment from one place inside a facility to another, or through various stages of automated manufacturing or finishing.